Jake Gyllenhall's Mysterio, no less! Look, if you’ve ever been someone with even an inkling of love for Spider-Man, I’m sure that this past year has brought it to a fever pitch. Spider-Man has starred in a PS4 game, a bomb as hell animated movie (Spider-Man: Into The Spider-Verse, in theaters now, folks), and now, after watching him turn to ash in Avengers: Infinity War (I guess he gets better? 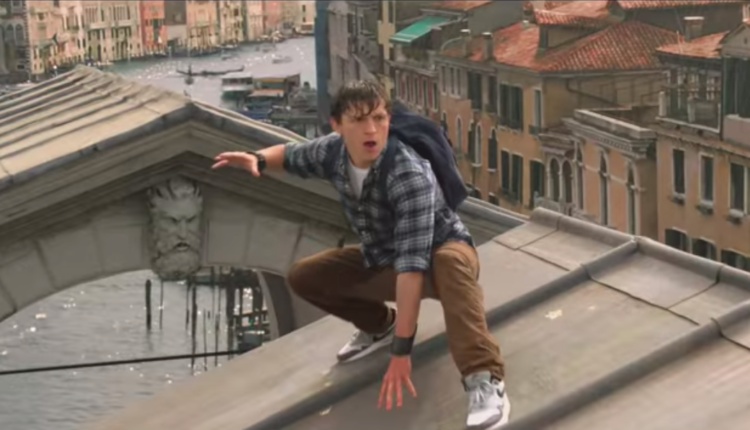 ), we can see him in the latest trailer for his upcoming Marvel produced movie, Spider-Man: Far From Home. If you’ve even considered the concept of liking Spider-Man, this trailer will make every single synapse in your brain fire insanely. At long last the strange, beautiful universe of Bendis’ Spider-Man comics, mixed with a splash of Ditko and a vast embrace from Romita– with its spies, insanity and pained villains, is seen in full force as Spider-Man heads to Europe in the new trailer. The trailer shows off a few new things. Aunt May apparently knows that Peter Parker is The Amazing Spider-Man, as she uses their partnership to gain ground. There’s still a ton of jokes about everyone flirting with Aunt May which is fine, but come on, a character played by Jon Favreau? In a world of superheroes you pair Marisa Tomei with Jon Favreau!? That’s basically a massive insult. Oh, and of course we see Jake Gyllenhall as a beautiful, Roman inspired version of that incredible Steve Ditko character, Mysterio. Man, the comics this stuff is based on are so great. They are so beyond great. But I digress. The biggest tonal shift happens when we see Samuel L. Jackson who, after a short break, is back to playing one of the roles that’s defined his career, Nick Fury, who meets with Spider-Man and takes him on his incredible mission fighting the forces that be. Ahhh. July can’t come fast enough. I will buy twelve popcorns and take turns munching from all of them as I absorb this cinematic masterpiece. What do you think of this incredible and very perfect teaser? Let us know in the comments or on Twitter at @WhatsTrending.